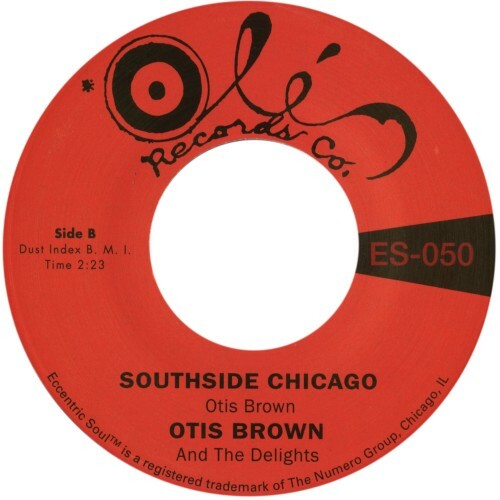 Otis Brown - Southside Chicago 7"
"An anthemic call to arms for all denizens of the second city residing south of the Loop, Otis Brown & the Delights’ “Southside Chicago” swung and missed in the summer of ’66. Forty years later, Sitting In The Park, Bob Abrahamian’s crucial Chicago Soul program, would adopt this mid-tempo slice of crossover northern soul as its theme music. The flip, “I’ve Got Another,” is a perfect night ender, the time to pull your lover close and dance until the lights come up. Many years in the making, this limited replica 45 is a tribute to both Numero’s hometown and the late Bob Abrahamian."